This is the first time since 5th grade that "baseball cap" has found its way onto my wishlist. This one may not be emblazoned with the Seattle Mariners' logo, but it's still pretty cool. I've had it for a couple weeks now and am finally figuring out how to wear it. 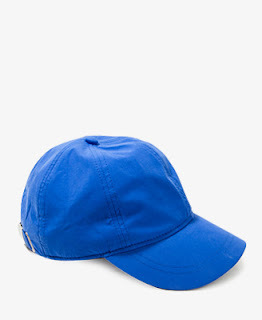 This week I'll be posting two, maybe three, outfits featuring this blue cap and tips on styling your own looks. Sports luxe makes the most sense, so is somewhat easier to style. Go for clean cuts, modern fabrics, and androgynous pieces. Throw in one or two ultra-feminine pieces to balance it out, especially if you have short hair like mine! In this look I went with a skirt and pointy-toed wedges to give the look a bit of femininity. Update: You don't have to pair it with ultra-fem pieces, but the contrast really is nice! 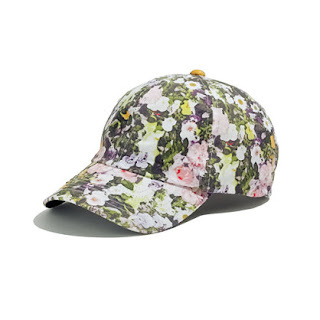 Baseball caps look fresh and modern in solid colors or unexpected prints like retro florals. Sports luxe and color blocking were made for each other. Another key element of sports luxe is picking pieces that look like they cost too much to play any kind of sports in them. Luxurious textures and fabrics are key, even if they only look luxurious, but don't have the matching luxury price tag :) Here is a great example of what I mean. Tosha looks so sleek, and, with the exception the Alexander Wang boots, the outfit is genuinely affordable! amazing skirt and jacket!! 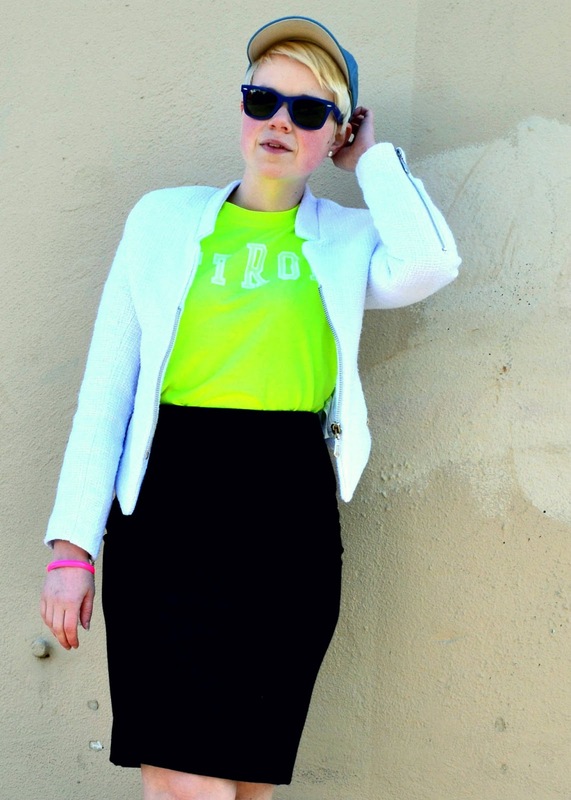 great pop of neon!! I just can't get enough of this look! My favorite look you've done...the colors, textures, sporty vibe, glitter. Girl....you ROCK!!! And, it look flawless on you! Thank you for such a beautiful look & inspiration! XO! Really lovely look, love the bright neon that you added in there and it's the epitome of sport luxe. In my opinion though you probably didn't need to have the wedge heels you could have gone all out sporty and it would have still worked for me. That's not saying the wedges don;t work, they work perfectly well. Just saying you don't need to worry about having the feminine pieces, short hair or not. so cool! i always see hats i love but then balk at the idea of actually wearing them outside of a jogging scenario - this looks so cool though! I love this. So sporty yet chic!! amazed by those stuning stilettos super trendy!!! I am so glad to see your comment. I thought you had forgotten all about me, LOL. Is the watch any good. I have to buy new batteries.